Waterproof breathable NFPA 1999, 2008 certifeid Blood Born Pathogen Impervious common chemical resistant StedAIR EMS outer shell. Silver Scotchlite or Lime/Silver Triple Trim packages are available. 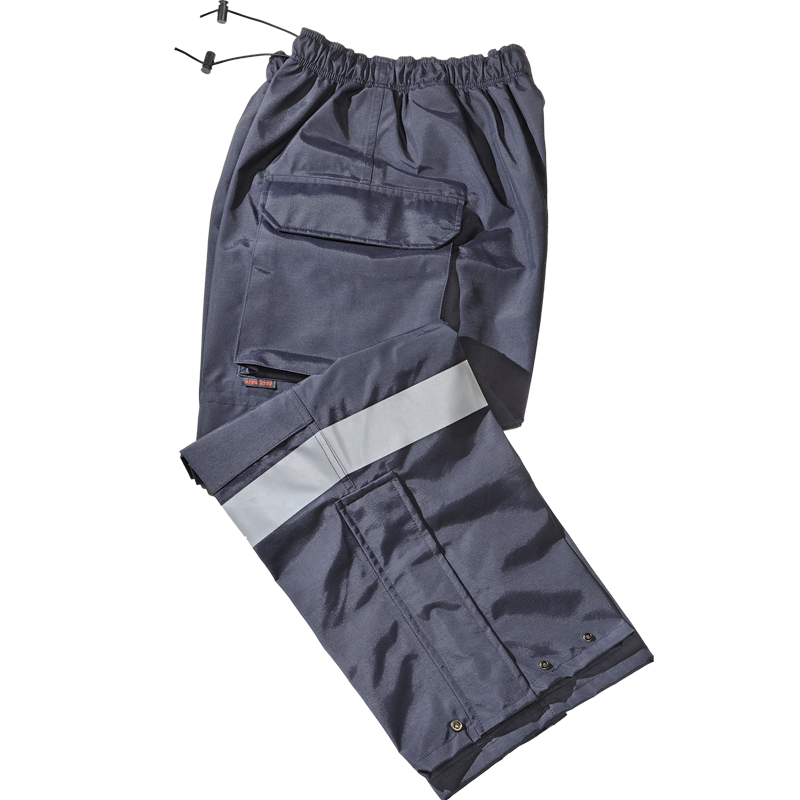 Large cargo pocket on each thigh. Zipper at cuffs for easy on and off. Elasticized draw cord waist band with adjustable barrel clips.